Organic Cultured Wheat is a natural shelf life extender produced via a unique controlled fermentation of wheat flour with Propionibacterium freudenreichii. This bacterium is best known for its role in the creation of Swiss Cheese. Propionibacteria are commonly found in milk and dairy products and has a long history of safe use in food. Organic Cultured Wheat is an off-white powder containing short-chain organic acids and other natural fermentation-derived metabolites that can extend the shelf life and enhance the flavor profile in a variety of applications. Organic Cultured Wheat has been used to extend shelf life in baked goods, cheeses, meats, salad dressings, condiments, dips, spreads, meats and more. By preventing the growth of unwanted bacteria, yeasts and molds, Organic Cultured Wheat can replace chemical preservatives like sorbates and benzoates for a clean label alternative. Please contact us for a gluten free alternative to Organic Cultured Wheat. Is Organic Cultured Wheat GMO Free? 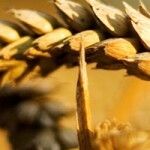 Is Organic Cultured Wheat certified Kosher? This product is not derived from a Genetically Modified source material and does not contain Genetically Modified DNA or the proteins derived from Genetically Modified DNA. This product is certified Kosher by United Mehadrin Kosher. Please contact us for kosher certification.